Past eastern we visited Japan for the first time and we discovered our favourite city – Tokyo- this eastern in exchange we have had no vacations and we have been at home. It had been really hard because we planned to go sailing two days but strong winds and heavy rain from the North could made it a very unpleasant experience. 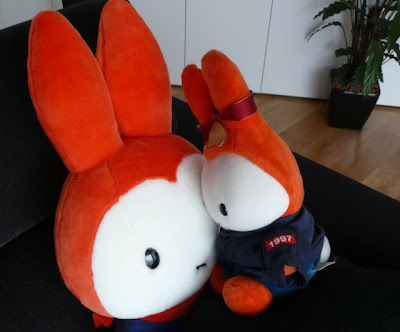 Anyways we will go to Hong Kong in less than a month. Yes!!! We will fly directly this time from BCN to HKG (via CDG that tells u no one is perfect) and I will be able to take Miffo and some of my sisters to my hometown. That’s great. I said that Tokyo is my favourite city, but home is home so I dying to come back to my Hotel. 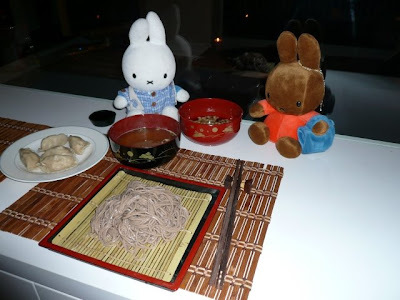 To celebrate it Miffo cooked “Soba” for us and her delicious Miso Soup. 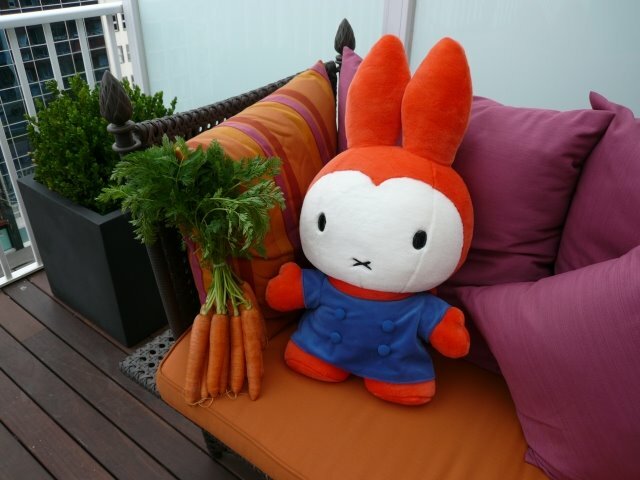 As many of you know Miffo spent almost nine months in Tokyo at Cafemiffy’s. There she discovered about Japanese culture and she cultivated her great hobby: cooking. Now Miffa’s restaurant has three Chief Cookers – Me, Miffo and Laia – who master Cantonese, Japanese and Mediterranean cuisines respectively. Past February during four consecutive weekends we showed our abilities with help from some guest cookers from China and Catalonia. 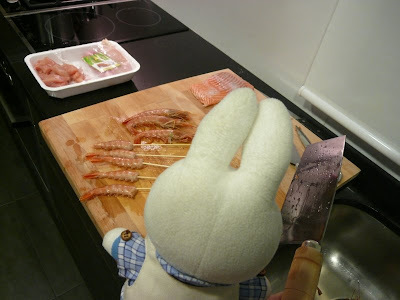 Finally we have convinced Father Bunny (who helps us in the kitchen every time) , and we will start a three posts series with pictures and recipes we cooked. We will include a video edited by ourselves using professional editing software (it was bundled with the video camera we bought in Tokyo past Eastern) and finally our lazy dad had time to read and install it.